Reader's and Writer's Club initiates Avik Chanda's latest release 'Anchor',a discussion. It is our privilege to attend events which enrich our minds and inspires us. Kolkata is known for its culture and creativity, books have been an integral part of our growth and any event bringing forth books dealing and initiating rare subjects grabs our attention. 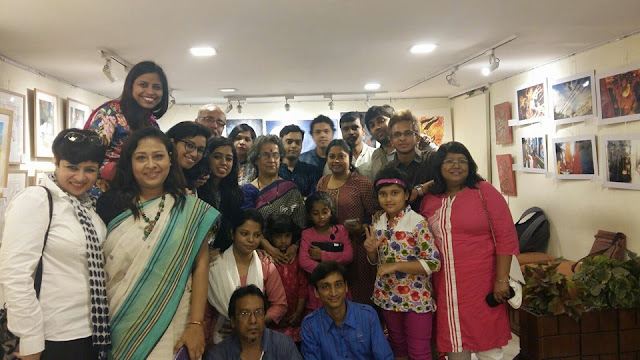 Amit Shankar Saha, a book lover shares his experience of attending one such event held in Kolkata with us. “It is to say that Michelangelo is Carl Lewis and Da Vinci is Usain Bolt of the Renaissance,” quipped Avik Chanda when asked by Joie Bose to rate his novel Anchor. 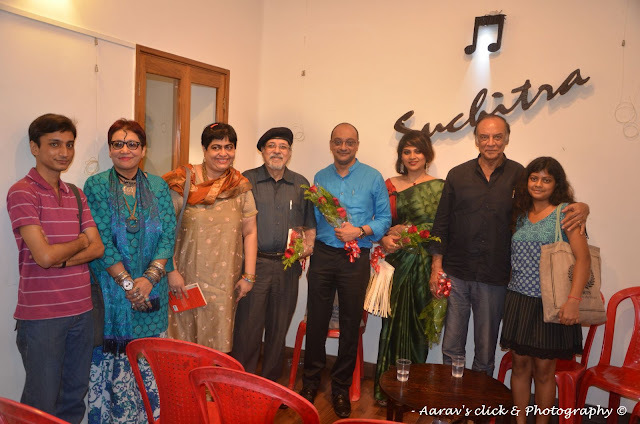 The Readers’ and Writers’ Club, in association with Ahava Communications, held their monthly meet of August at Suchitra Gallery on 40A Creative Studio on 19th August, 2015. The writer in focus was Avik Chanda, whose latest book Anchor has been recently released. Avik Chanda is the son of the inimitable actor Barun Chanda, who was also present. 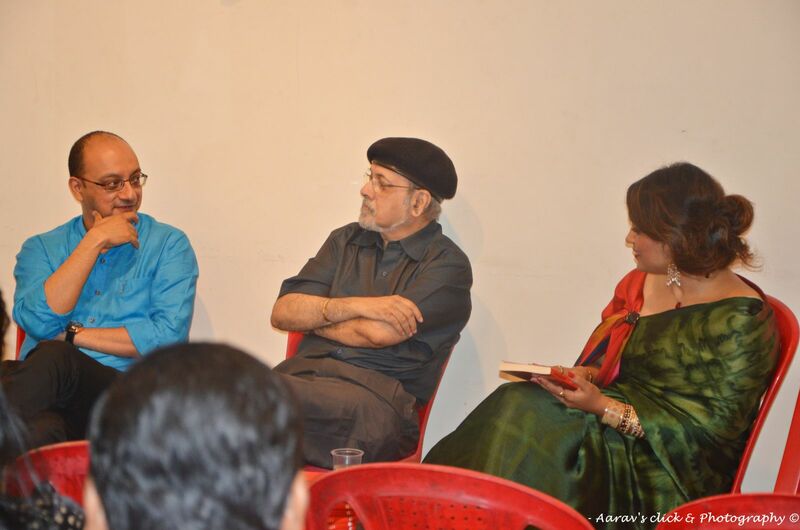 Avik was in conversation with Utpal Chatterjee, the noted journalist and ex-Sherif of Kolkata. The discussion was moderated by poet and academician Joie Bose. Mona Sengupta introducing the guests and the panelists announced that this was the anniversary session of the club. Before starting the discussion Joie read an excerpt from the novel Anchor, which is a sleek thriller, a genre that Indian writing in English is still to be found wanting in. The novel deals with one night in the life of a journalist and , as the author acknowledged, has been inspired by the escapades of journalists who captured the flash points of turmoil in Singur and Nandigram. 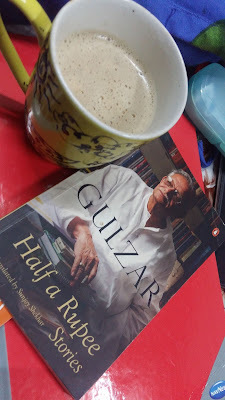 Although the author fictionalized the incidents and set it back in time in the year 1997, it remains topical and relatable because the period of the late 1990s was the inflection point for the whole nation as it was the time of post liberalization but pre-IT revolution. Avik Chanda, having the experience of working for six months in The Statesman as a “sub” during that time, knows the importance of the “anchor” news that appears at the bottom of the front page of a daily. 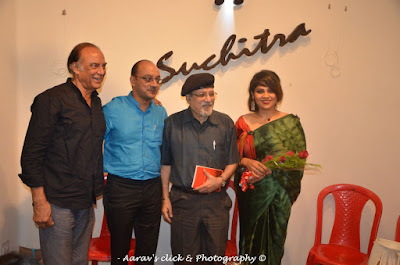 So when Utpal Chatterjee, referring to Chopin, said that Anchor was Avik Chanda’s “Nocturne” it was rather apt. Chatterjee started by lamenting about the poor state of newspapers where it is the advertisers who call the shots and not the editor now-a-days. He then complimented Avik for not having an urban-centric setting for his novel and for daring to tackle a subject that is politically volatile. He added that out of seventy percent rural population of India, thirty percent do not come under the ambit of census and yet ironically these populations that inhabit in the area of darkness are represented by the politicians in the parliament. He reiterated that this unrecognized population if given the basics of livelihood, health care and education can bring an untapped power to the Indian economy. Chatterjee with his anecdotal style, with references to Dickens’ A Tale of Two Cities, V. S. Naipaul, Vikram Seth, and M. S. Sathyu’s Garam Hawa, veered the discussion into the area where it was deemed necessary to include the have-nots in writing, cinema and other spheres of creative expression. Chatterjee applauded Avik Chanda for having the guts to do so and wished that this trend continues. The discussion was followed by a lively interaction with the audience, felicitations, vote of thanks and refreshments. And time flew out of the window as if it was not the book but we ourselves were part of a thriller. Relativity after all becomes a reality when relatability is the anchor of an event. We congratulate Mona Sen Gupta and Sushruto Sarakar of AHAVA Communication and Reader's and Writer's Club for organizing such insightful events enriching our minds and hearts. Hope you enjoyed knowing about such intellectual discussions and would buy the book yourself.